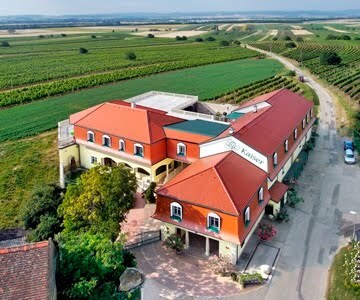 The vineyards of the Kaiser winery are in the Appellation of Neusiedlersee-Hügelland in Austria's easternmost region Burgenland, Kleinhöflein near Eisenstadt. With a pristine micro-climate, influenced by Lake Neusiedl, Europe's only steppe lake, warm days are followed by cooling humid air of the lake which prolongs the growing season into late fall. Our family has been producing wine for generations. Rudolf and Judith Kaiser took over from their parents in 1977. 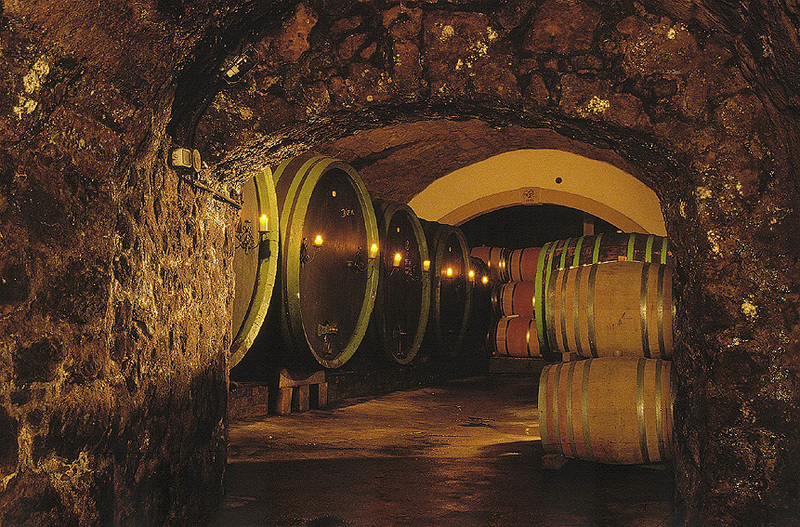 At that time, Rudolf Kaiser was working as a “Kellermeister” (cellar master) in the winery of Prince Esterhazy. The size of the vineyard was 4 hectares. The business was run as a hobby. Gradually the hobby became a profession. Rudolf Kaiser decided to give up his job with the Esterhazy winery to give his undivided attention to his winery, which we expanded and rationalised. At this time our winery cultivates 24 ha vineyards with near naturally vinification. 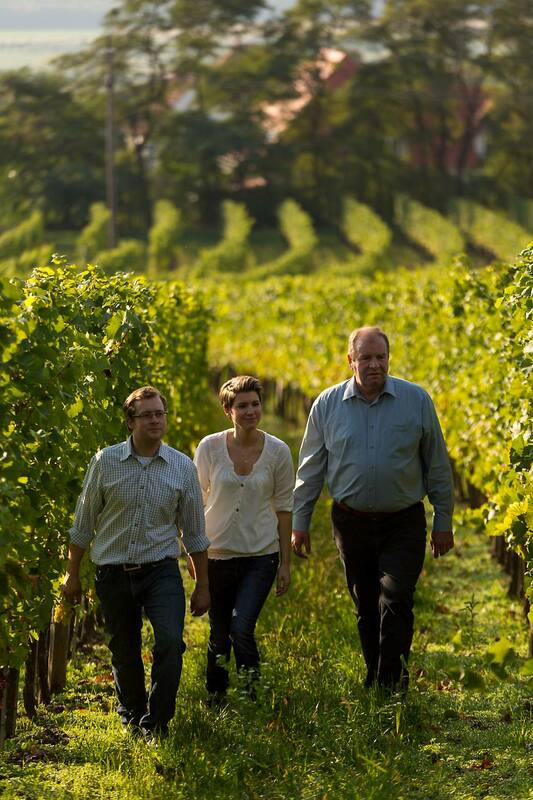 In keeping with tradition the character of the wine now lies in the hands of Rudolf and his son Kurt Kaiser. In 1999 we bought an old vault-cellar from Prince Esterhazy. This cellar was built in the 15th century. The family renovated the cellar and equipped him with new wine technology. Our white wine varieties are grown on light chalky sand, loess, loam soils containing flint. During the day the ground heats up and retains the heat to give off on cold nights. The longer duration of radiant heat enhances to the ripening of the grapes. 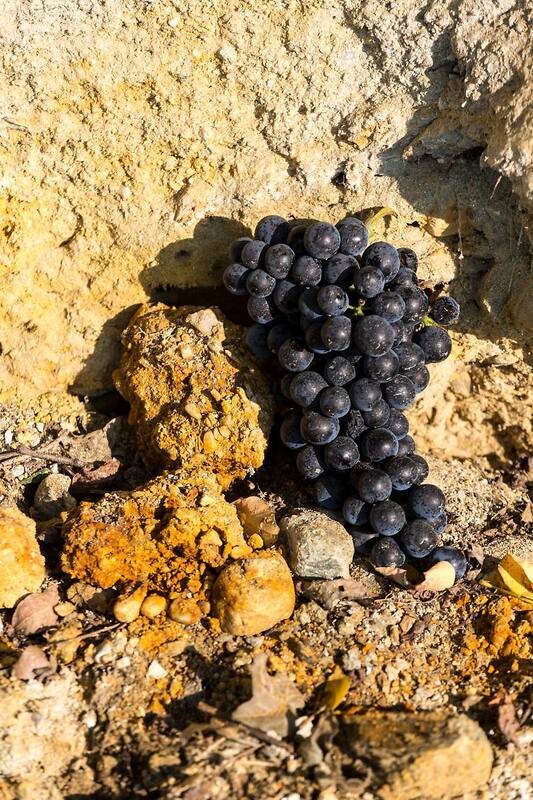 The red wine varieties are planted on heavy textured clay loess soil, rich with humus. 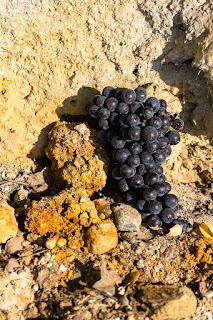 These soils are more difficult to cultivate, but have the enormous advantage of low permeability, which guarantees enough moisture in dry periods. The mild climate of “Pannonia” is ideal for the production of red and white wine. Our winery cultivates 80% red and 20% white wine. Our white wines are: Welschriesling, Chardonnay, Pinot Gris and Sauvignon Blanc. Our red varieties are: Cabernet Sauvignon, Pinot noir, Blaufränkisch, Zweigelt, Syrah and Merlot. The harvest is carried out by hand to treat the grapes with care and to ensure healthy basic material. After that, the white grapes are cooled with CO2. By Chardonnay and Sauvignon Blanc the most is stand for a short time, to give the wine more fruit and excellence. After pressing the most is fermented for 2 weeks with 14-16 OC. This slow fermentation preserves the aroma. The red wines are fermented between 4 and 6 days with 28-30 OC. So the wine gets a aromatic of ripe berries and soft tannins. After pressing, the malolactic fermentation begins. During this process the unripe malic acid is converted into smooth lactic acid. Now the fermentation is finished and the wine can mature in stainless-steel tanks, wooden vats or Barriques. On the vine we just leave 9-11 grapes to have a guarantee of good quality. So the vine is able to deliver his whole energy to few grapes. To get a good developed grape we also remove the leaves on the grape level, so that the sun can reach the berry. After a ripeness of 18, 5° KMW (ap.185 g/l sugar) we picked the grapes by hand destemmed it and cooled the maishe before pressing. After this, we started with a clear grape juice the fermentation, in stainless steel tanks, which were controlled by 16 °C for 14 days. On the vine we just leave 9-11 grapes to have a guarantee of good quality. So the vine is able to deliver his whole energy to few grapes. To get good developed grapes we also remove the leaves on the grape level, so that the sun can reach the berries. After a ripeness of 19° KMW (ap.190 g/l sugar) we picked the grapes by hand destemmed it and cooled the maishe for 8 hours (cold maceration). Than we press it tightly. After this, we started with a clear grape juice the fermentation, in stainless steel tanks, which were controlled by 15 °C for 14 days. On the vine we just leave 8-10 grapes to have a guarantee of good quality. So the vine is able to deliver his whole energy to few grapes. To get a good developed grape we also remove the leaves on the grape level, so that the sun can reach the berry. After a ripeness of 18° KMW (180 g/l sugar) we picked the grapes by hand destemmed it and cooled the maishe for 8 hours cold maceration. Than we press it tightly. After this, we started with a clear grape juice the fermentation, in stainless steel tanks which were controlled by 15 °C for 14 days. Wine description: An aromatic wine, which remembers to fresh straw and ripe gooseberry. A wine with an intensive taste and a good acid. Austria is very famous for his sweet wine. So this starts by the late harvest. Here the grape must have a sugar contant from minimum 19 KMW (190 g sugar/l). Our Late harvest was picked by 22 KMW and is so a higher levelled Late harvest. To get a good developed grape we remove the leaves on the grape level, so that the sun can reach the berry. After a ripeness of 22° KMW (220 g/l sugar) and a little botrytis we picked the grapes by hand destemmed it and cooled the maishe before pressing. After this we started, with a clear grape juice, the fermentation, which was controlled by 18 °C 10 days. When the wine had the right harmony of sweetness, acid and alcohol we stopped the fermentation by filtration. Wine description: An elegant sweet wine with fruity aromatic like apple and nuts. On the vine we just leave 8-10 grapes to have a guarantee of good quality. So the vine is able to deliver his whole energy to few grapes. To get a good developed grape we also remove leaves on the grape level, so that the sun can reach the berry. After a ripeness of 20° KMW (200 g/l sugar) we picked the grapes by hand and destemmed it. We leave the juice 8 days by 28 °C on the maishe for fermentation. After fermentation we pressed the wine and ocullated the malolactic fermentation. After finishing the second fermentation we let the wine age in big old fats. Wine description: A good taste for every day. A simple wine with red cherries and rose aromatic. On the vine we just leave 8-10 grapes to have a guarantee of good quality. So the vine is able to deliver his whole energy to few grapes. To get a good developed grape we also remove leaves on the grape level, so that the sun can reach the berry. After a ripeness of 19° KMW (190 g/l sugar) we picked the grapes by hand and destemmed it. We leave the juice 8 days by 28 °C on the maishe for fermentation. After fermentation we pressed the wine and ocullate the malolactic fermentation. After finishing the second fermentation we let the wine age in big old fats. Wine description: A wine with typical cherry aromas and a fine mint. In the taste it is a simple and delicate wine with cherries and plums aromatic. On the vine we just leave 8-10 grapes to have a guarantee of good quality. So the vine is able to deliver his whole energy to few grapes. To get a good developed grape we also remove leaves on the grape level, so that the sun can reach the berry. After a ripeness of 20° KMW (200 g/l sugar) we picked the grapes by hand and destemmed it. After 3 days cold maceration we started fermentation with wild yeasts. We leave the juice 8 days by 28 °C on the maishe the get good colour and full bodied tannin structure. After fermentation we pressed the wine and ocullated the malolactic fermentation. After finishing the second fermentation we let the wine age in 3rd used Barriques and old big oak fats for 23 months. so we get more structure in the wine. In the nose the wine offers black berries, ripe cherries, plums and mint. Drinking flavours are red fruits (berries) a real broad palate. Meals: grilled meat, Barbeque, cooked beef, meals with strong sauces, turkey and pasta. Wine description: In the nose the wine offers black berries, ripe cherries, plums and mint. On the vine we just leave 6-8 grapes to have a guarantee of good quality. So the vine is able to deliver his whole energy to few grapes. To get a good developed grape we also remove leaves on the grape level, so that the sun can reach the berry. After a ripeness of 21, 5° KMW (215 g/l sugar) we picked the grapes by hand and destemmed it. After 3 days cold maceration we started fermentation with wild yeasts. We leave the juice 8 days by 28 °C on the maishe the get good colour and full bodied tannin structure. After fermentation we pressed the wine and ocullated the malolactic fermentation. After finishing the second fermentation we let the wine age in new and once used Barriques for 24 months. Wine description: Toasty, cigar box and chocolate offers in the nose. Smooth taste after rich, ripe fruits. On the vine we just leave 6-8 grapes to have a guarantee of good quality. So the vine is able to deliver his whole energy to few grapes. To get a good developed grape we also remove leaves on the grape level, so that the sun can reach the berry. After a ripeness of 21, 5° KMW (215 g/l sugar) we picked the grapes by hand and destemmed it. After 3 days cold maceration we started fermentation with wild yeasts. We leave the juice 8 days by 28 °C on the maishe the get good colour and full bodied tannin structure. After fermentation we pressed the wine and ocullate the malolactic fermentation. After finishing the second fermentation we let the wine aging in new and once used Barriques for 24 months. Wine description: fruity cherry-cassis aromatic, cigar box and chocolate offers in the nose. On the vine we just leave 6-8 grapes to have a guarantee of good quality. So the vine is able to deliver his whole energy to few grapes. To get a good developed grape we also remove leaves on the grape level, so that the sun can reach the berry. After a ripeness of 21, 5° KMW (215 g/l sugar) we picked the grapes by hand and destemmed it. After 4 days cold maceration we started fermetation with wild yeasts. We leave the juice 8 days by 28 °C on the maishe the get good colour and full bodied tannin structure. After fermentation we pressed the wine and ocullated the malolactic fermentation. After finishing the second fermentation we let the wine age in 3rd used Barriques and old big oak fats for 24 months. cigar tobaccos. In the taste it has rich ripe berry fruit and fine tannins with a long taste. This wine is created from the best barrel of the Kaiser winery. t is a Cuvee with Cabernet Sauvignon, Blaufränkisch and Zweigelt. The wine aged 2 years in new oak barriques. Father Stefan Kaiser produced one of the first, wines in Japan which was respected by the Japanese emperor. On the vine we just leave 6-8 grapes to have a guarantee of good quality. So the vine is able to deliver his whole energy to few grapes. To get a good developed grape we also remove leaves on the grape level, so that the sun can reach the berry. After a ripeness of 20,5° KMW (250 g/l sugar) we picked the grapes by hand and destemmed it. We started fermetation with wild yeasts. We leave the juice 10 days by 28 °C on the maishe the get good colour and full bodied tannin structure. After fermentation we pressed the wine and ocullated the malolactic fermentation. After finishing the second fermentation we let the wine age in new oak for 26 months. In the cuvee we just select the best barrels of our winery. Wine description: Complex aromatic like plums and vanilla. Very rich and full bodied wine. With a broad palette of fine tannins and long taste.